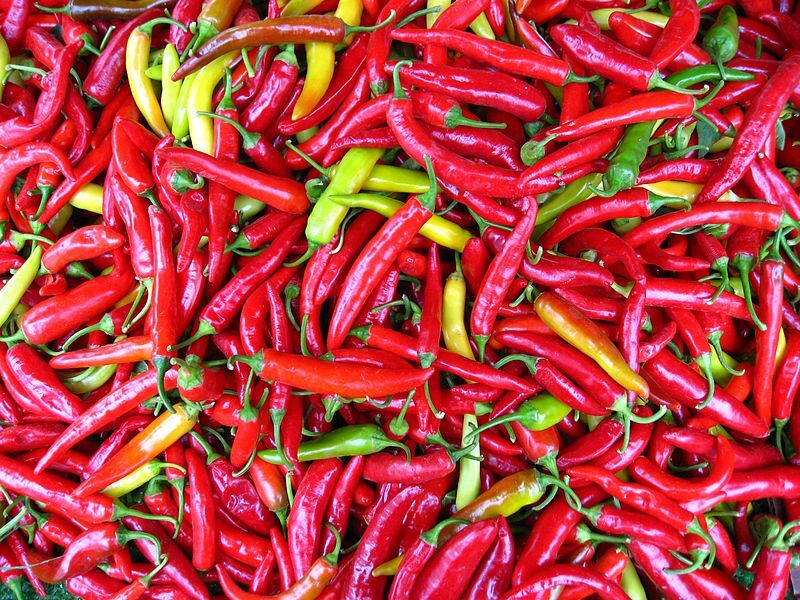 What could be more perfect than the tangy, nose-running, eye-watering Cayenne Pepper? God gave us a miracle when he created this seed. Named for the city of Cayenne located in French Guyana ( South America ), the fruit of this plant can be pulverized into a powder or baked to aid in delicious, nutritious, life-saving meals. Yes, you are reading correctly. A 3.99 bottle of this spicy wonder can cure/help ALL those illnesses. Sound pretty good to me. Black Family, we need to wean ourselves off of the European’s poison called Pills. Soon they will not be so readily available or affordable to us. Learn the power of herbs/roots and see just how healthy you can be. Amen, bless you for posting this. I’ve been thinking of posting information about nutrition because we’re a nation of pill-poppers. Garlic and ginger are great, too, so I’m looking forward to your garlic post. Most welcome. We love garlic! We put it in everything and it has such great nutritional properties. In America, out belief is that there is a pill for every ill. Please watch the documentaries “Food Matters” and “A Beautiful Truth”. Both explain how foods in the past were used to cure health issues and how we have gotten away from using food to cure ourselves to modern medicine that, in many ways, does more harm than good. I’ll look for both of them. Thanks. Here is a link that has a list about cancer-fighting foods. I wouldn’t even bother but I got sucked it by the references to afrocentic scholars I do respect and the stifling isolation I’m temoraliy experiences. This forum was created for blacks as a space to learn, heal, talk, vent, cry and try to come up with some reasonable way to fight/ end white supremacy. This blog, as you can see is called Diary of a Negress, not Mbeti’s Blog. If you feel like you’re not getting what you need from it, invest your time someplace else. Thank you for this. The plants and herbs were put here by the creator for the healing of the people. Most Welcome. And yes, the Most High gave us the great gift of herbs. We grow and eat almost everything on the list daily. Truthbetold, aka Diaryofanegress and others here that are inclined to do so post HELPFUL information on matters that are GOOD TO KNOW about on this very profound and beneficial site. Now the facts that are posted aren’t necessarily comprehensive or complete. But I don’t think they’re meant to be. This site isn’t another version of Wikipedia. It’s just a starting point, turning the reader ON to all sorts of helpful facts the reader may not have been aware of. If a reader is further interested in any particular topic/subject, there’s a myriad of search engines available on the net to delve deeper into anything topic that piques your interest. It’s not the blog owner’s job to be all things to all people. Personally, I know she’s doing MORE THAN an outstanding public service for the family, as well as others. I don’t have words adequate enough to express how appreciative I am of this site and its regular contributors!! So please, be thankful and grateful! Count your blessings that she is sharing SO MUCH with you/us. Let her inspire you/us to go forward and gain greater knowledge and wisdom that you/we might be able to do likewise – and share with others. She needs (y)our positive support and encouragement – NOT (y)our gripes and complaints. It’s men like you, amongst others here, that make me love black men. Co-sign with Brother Matari. Good job Sister Truth. I appreciate you. Just saw the trailer for food matters. Looks great! Now we are talking! I have cayenne powder stored away in my cabinets, along with crushed red pepper. I use the crushed ones on almost everything (steamed cauliflower, broccoli and cheese, grilled or sauteed chicken). I was once staying with a friend in college and i woke up in the middle of the night with what i believed to be acid reflux–she told me to take a teaspoon of cayenne powder and instantly the fast beating stopped and i calmed right down. Also, have you tried Berbere sauce DOAN? Berbere is a type of Ethiopian specialty that has cayenne peppers and other delicious spices crushed into powder. It is real “heat”. You can actually just add onions and tomatoes and a cup of the powder and let it simmer and you have a spicy stew. I figured you may shop at African groceries in your area. Thanks for the info. if I’m lucky enough to find an African store that is owned by Africans, I go wild. our shops are few and far between now.